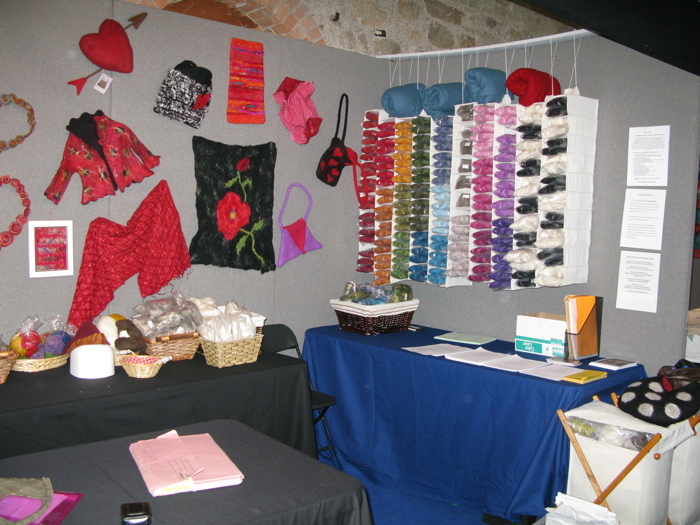 October 30 – November 2, 2008 was the Dublin Knitting and Stitching Show. 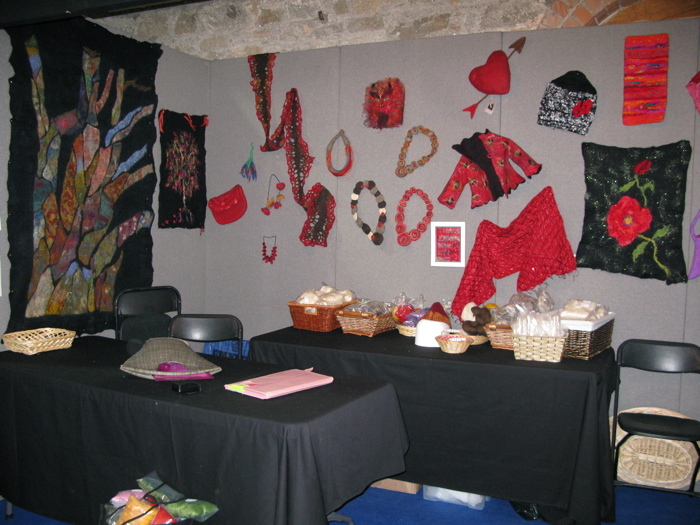 As we have for several years, Feltmakers Ireland had a stand upstairs, along with many other Guilds and the graduating Design students work. We are able to do demonstrations for the public and mini workshops in the Learning Curve area. This was very successful for us and beneficial for those interested in learning about making felt. It’s always great fun on the stand and a chance to pick up gorgeous fibre. Many thanks to Eleanor Roche and crew for all the hard work it takes to organize a smooth running show. Think Passion, Think Red was this years theme. We have many beautiful submissions. This was only part of them. Several more came in after the initial set up. Thanks to everyone for the wonderful representation of felt.